STRUCTURAL changes in technology, socio-demography and consumer shopping habits are impacting the retail sector and industry players. However, according to research firm Nawawi Tie Leung Property Consultants Sdn Bhd (NTL), the commercial property segment will continue to grow despite weak consumer sentiment. This article appeared in the New Strait Times website on January 18, 2018. View source here. In its report entitled “Retail Sector: Time for a re-rating?”, NTL states that new supply continues to be strong and is expected to remain so in the next three years with no loss of enthusiasm commercially by developers to build more. As of the third quarter of last year, total retail stock in Klang Valley stood at 61 million sq ft. The estimated pipeline supply for retail space under construction is around 16 million sq ft across 23 projects. “This implies overall growth of 26 percent to the current stock,” it said. 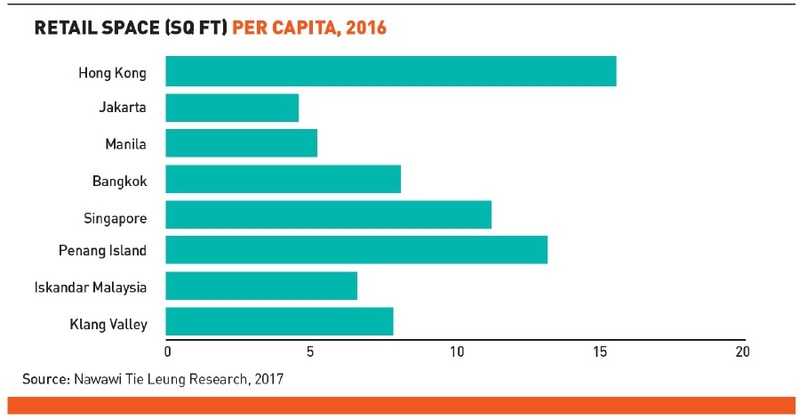 NTL said a proxy indication of the health of the sector is retail space per capita, which currently stands at 8.1 sq ft in the Klang Valley and at mid-range compared to other global cities or countries, notwithstanding some theoretical challenges on whether these figures can be truly comparable and where a healthy ratio figure lies. 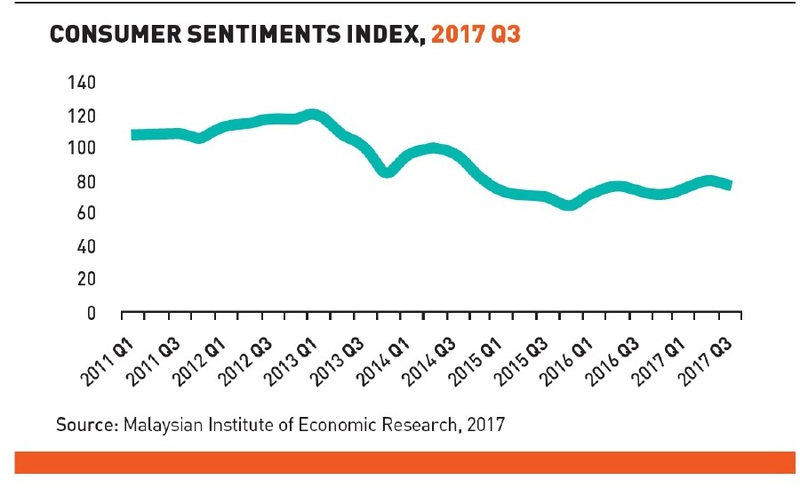 “These findings contradicts the media’s notion that the retail sector in the Klang Valley is suffering from a combination of various factors, from the typical oversupply of space to the weaker and fickle sentiment of consumers. NTL pointed out that the underlying trend is of more concern as some of the newer malls have been struggling to establish market shares. which are getting more fragmentary and diminishing. “In recent years, we have witnessed a mall closure, namely the SSTwo in Petaling Jaya, and increasing occupancy stress, low footfall and retailers’ turnover in some of the newer (and older) malls, matched by slower or, worse, no rental growth and increasing need to provide for tenants’ incentives,” NTL said. It has identified some of the key factors that contributed to the whole scenario — the rise of e-commerce, consumers shifting to digital experience from conspicuous consumption, ageing population which has an impact on retail spending and the emergence of driverless mobiles stores which can be hailed to one’s doorsteps. For investment perspective, comparing to the office sector, NTL deemed that retail assets are a higher risk, thus their yields traditionally reflect a premium of two to three per cent over the office yield. Trends, such as urban sprawl, looser planning control and the rise in the number of motor vehicles, are known to be affecting retail assets. “However, post-2008, ample liquidity has given rise to asset inflation and chased yield downward to a current state whereby yields for prime retail and commercial assets are at parity,” it said. NTL also refuted that there is more diversity of tenants to choose from within the retail sector, especially anchor tenants that historically make or break the success of a mall. When it comes to leasing terms, both sectors are comparable in duration and payment terms locally. To sum it up, NTL stressed that the retail sector will continue to be very much impacted by ongoing structural changes in the market, and not a normal supply-demand disequilibrium that in the past could be resolved through the passage of time, rising affluence and population. It also noted that real estate investors will need to re-examine their implicit assumptions on what should and would be a reasonable entry return. “With e-commerce an existential threat, a substantial number of malls can be expected to fall casualty and the prospect of successfully changing usages is not likely to be easy nor cheap. “While the stores of the future will likely be a hybrid, an augmented retail that bridge the world of online with offline, the physical store is not going to vanish anytime soon,” NTL concluded.